If you drive in the United States, you know that you are required to hold a valid driver’s license. This license, as issued from your state of residence, is proof of your legal privilege to drive. Without a license, you are not only forbidden from driving in your home state, but also all other states within the United States. Driving is not a right. It is a privilege granted to those individuals who meet the standards set forth by their state of residence. 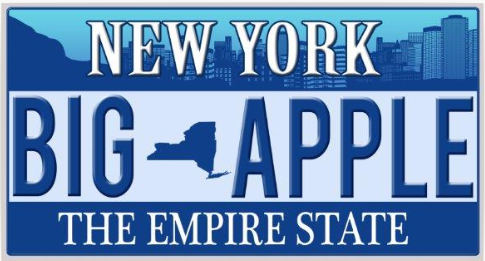 In New York State, drivers’ licenses are issued by the Department of Motor Vehicles (DMV). In New York State, unsafe driving is taken seriously. In 2016, roughly 12 million people held New York driver’s licenses. That many licensed drivers can be hard to manage. To help assist law enforcement and the DMV to properly identify high risk drivers, New York established a driver point system. How does this affect you? Keep reading to find out! The New York State driver point system assigns point values to your driver’s license for specific traffic offenses. These points help to immediately flag any high risk drivers as they are pulled over. It also helps to alert the DMV to potential high risk drivers and set into motion administrative fines, suspensions and more. – How Are Points Calculated? When it comes to calculating your point total, there are three specific criteria. First, you must be convicted of a violation before the value can be added to your total. Second, points are totaled based on the date of the actual violation. This means they are not added based on the date of conviction, but retroactively added and linked to the violation itself. Finally, current totals are based on an 18-month history of point accumulation. This means that points are only valid for 18 months. While that may sound like a short period of time, a lot can happen in 18 months. – What Violations Result in Points? Now that you understand how your points are calculated, you likely want to know more about the types of violations that result in points to begin with. Let’s take a look. Speeding violations: Speeding violations all come with specific point values. For driving between 1 and 10 miles over the speed limit, you can expect to earn 3 points. Caught speeding 11 to 20 miles over the posted speed limit? You will earn 4 points on your driver’s license. For driving 21 to 30 miles over the speed limit, you receive 6 points. If you are driving 31 to 40 miles over the limit, expect 8 points to be added to your driver’s license. For driving in excess of 40 miles over the speed limit, you will be hit with 11 points. Reckless Driving: Reckless driving, as defined by the New York Vehicle and Traffic Law, refers to driving in a manner that “unreasonably interferes” or “unreasonably endangers” others. For every reckless driving conviction, you can expect to receive 5 points. School Buses: It is a law in New York State that you must stop for school buses, even if the bus is on the other side of the street. Failure to do so will result in a 5 point ticket. Tailgating: Following another car too closely is known as tailgating. In the state of New York, it is a 4 point traffic violation. Inadequate Brakes: There are two different point values for inadequate brakes. For those in their private car, inadequate brakes will result in a 4 point ticket. If you are in an employer’s vehicle, however, it will earn you only 2 points. Right-of-Way: Right-of-way traffic is not expected to stop. However, failure to yield to the right-of-way vehicles can result in 3 points on your license. Traffic Control Signs: Traffic control signs, like STOP and YIELD signs, are there for a reason. Failure to obey them is a traffic violation that can earn you 3 points. Railroads: Railroad crossing signs are posted whenever roads and railroads meet throughout New York. These signs, like other traffic control signs, must be obeyed. Because of the seriousness of any incident between a vehicle and a train the points are much higher. Expect a 5 point violation if you fail to obey railroad crossing signals. Unsafe Lane Changes: You are not the only vehicle on the road. As a safe driver, it is prudent that you are conscious of the safety of others who are using the road. Improperly passing or making unsafe lane changes in New York is a 3 point violation. Wrong Direction: Driving into oncoming traffic is a 3 point violation. Leaving the Scene: If you have been involved in an incident where property damage has occurred, you are violating New York traffic laws. This will earn you a 3 point ticket. Child Safety: New York cares about the safety of children. Failure to properly restrain your child while driving is a traffic violation worth 3 points. Cell Phone Use: New York has made their stance on cell phone and portable electronic devices while operating a motor vehicle crystal clear. It endangers you and everyone else on the road when you are distracted by these devices while driving. Violations related to the improper use of cell phones or portable electronic devices while driving can result in 5 points. Various: For other types of traffic violations not listed above, you can expect to earn 2 points. While there are some exempt violations, the majority of traffic infractions will result in points. With so many different ways to accumulate points, you can see why a lot can happen within an 18 month period. – What Types of Violations Do Not Result in Points? While there are obviously many ways in which you can accumulate points, it is also important to know which types of violations will not result in points on your New York State driver’s license. Bicycle, pedestrian, and parking violations, for example, will not result in points. Violations related to the unregistered, uninsured, or unlicensed operation of a motor vehicle will also not accrue points. You may receive violations related to your vehicle inspection, weight, dimensions, and equipment. Other than those received for inadequate service brakes, you will not receive points for these violations as well.  Certain businesses or sales of goods fall under the New York State Vehicle and Traffic Law; these will not add to your point record.  Additionally, if you are charged with a traffic violation in another state or country – your New York driver’s license will not accrue points. That is with the exception of Ontario or Quebec. Because New York, Ontario and Quebec have a reciprocal agreement, violations in any of these locations will result in points on your license. The New York driver point system is designed to help protect everyone on the road. As you continue to violate traffic laws and accumulate points, there are consequences. These consequences, which vary in severity, can range from inconvenient and minor to expensive and severe. If you accumulate 6 points based on the date of violation within an 18-month period, you will be required to pay a Driver Responsibility Assessment fee. This fee, which is spread over a 3-year period, is in addition to any other fines, penalties, surcharges and fees imposed on you due to a traffic conviction. This fee strives to help remind you that repeated traffic violations can have lasting consequences. The amount you pay during your Driver Responsibility Assessment period is based on the type of violation, as well as the number of offenses. If you accumulated 6 points over a period of 18 months, the Driver Responsibility Assessment fee is $100 annually, for a period 3 years. If you receive more than 6 points, however, there is an additional $25 fee added for every point over 6. For example, if you have 8 points, you will owe $100 for the original 6 points, plus an additional $50 for the 2 additional points. That will make your total annual fee $150 for the next three years. If you were convicted of an alcohol or drug-related driving offense this fee increases to $250 each year. The same is true if you refuse to take a chemical test. If you continue to violate traffic laws while undergoing a Driver Responsibility Assessment, you can expect your annual fee to go up. Additionally, if you fail to pay the required fee by the due date on your statement – expect the New York DMV to suspend your license. More on that below! If you accrue 11 points on your license within an 18-month period, the New York DMV will suspend your license. When you accumulate too many points, the New York DMV issues what is known as a “definite suspension order.” This order will tell you when your license suspension will be lifted and you will be permitted to drive again. However, before your license is valid – you will need to pay a termination fee. If you continue to have traffic violations during your suspension or after, you may find yourself the subject of a license revocation. The New York DMV does not control your insurance premiums. However, your car insurance company may increase their rates if you continue to accumulate points on your license. In fact, more insurance companies will increase their premiums if you are to stay on their policy. In some cases, they may find you to be too much of a liability and will refuse to insure you! The New York DMV offers drivers a Point and Insurance Reduction Program, or PIRP. When you take an approved PIRP course, you can reduce your total point balance by 4 points. Your driving record will still include the violation and the points, however, the 4 point reduction will apply to the actual calculation. Depending on your insurance company, this program can also help you to save 10 percent on your insurance premiums. If you have already been issued a Driver Responsibility Assessment fee, the PIRP does not eliminate the required payment, nor will the PIRP help to reduce the amount due each year. For some, however, it does help insurance companies to continue to insure you or to lower their rates. The best course of action is to avoid violating New York traffic laws. However, we understand that is not always easy. Let us break it down. If you plead guilty to any traffic violations within an 18 month period, you will likely be subject to multiple points in New York. In fact, if you simply get 3 traffic tickets within an 18 month period, you have likely already gone over your 11 point allocation and are facing a mandatory license suspension. Whether you use your car to get to work, school, or just to run errands, the loss of your license can have serious consequences. You should never plead guilty to a traffic violation. This is especially true if it is an offense that can result in accumulated points on your driver’s license. While accumulating points can cause you to lose your license, traffic violations can do even more damage than that. Traffic tickets can lead to criminal records, jail time, and financial hardships. At the Law Offices of Michael H. Ricca, we know just how important your license is to your everyday life. As the best Nassau County traffic lawyer, Mr. Ricca has the experience, passion, and skills to help you fight your ticket. As a highly qualified lawyer, Mr. Ricca has been able to save his clients thousands of dollars in fines, as well as in points. If you have been ticketed for a traffic violation, Mr. Ricca and his staff are here to help you. Schedule your free telephone consultation with the best Nassau County traffic lawyer today to find out how we can fight your tickets together!